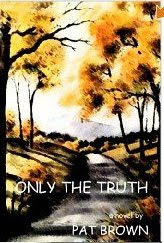 Only the Truth is the engaging and harrowing first-person story of Billy Ray Hutchins, an illiterate street cleaner with an innocence and heart as big as the Arkansas mountains where he lives with his dog, Big Dog. One day he finds a delicate-looking young woman standing by the railroad tracks, a small red suitcase at her side. He asks what she is doing there. She doesn't answer, but looks deeply into his eyes and asks if she can come with him. Just that simply, Charlene enters his home and life, bringing him a joy he has never imagined. Billy Ray takes life pretty much as it comes, so he doesn't question Charlene's unwillingness to leave the house or her reticence about her past. He is her "sweet Billy Ray" and life is good until the strange, unkempt man moves into the vacant house across the road. After the stranger visits with Billy Ray, Charlene becomes silent and withdrawn. When Billy Ray goes out on their second anniversary, he returns home to find his neighbor's house aflame. Police later find his body, shot through the head, in the ruins. The Sheriff finds evidence that Charlene may have shot the man and set the fire. While she is in jail awaiting trial, new rumors emerge about the mysterious Charlene. Witnesses come forward to claim that she is a prostitute who has robbed a number of her customers. A newspaper story brings attention from a sheriff in Tennessee, who identifies her as a woman believed to have set a fire that burned her parents and her three children to death. Billy Ray hardly knows what to believe. When he is with her, he has complete faith in her decency and love for him. But mounting evidence seems to indicate otherwise. Is she still his loving Charlene, or is she the wicked child-murderer and arsonist Kristin? Billy Ray, a man who would have been called "simple" in a kinder and less politically correct time, and who has never been out of his small town, is determined to find the truth, wherever it may take him. I had the solution partly worked out well before the end, but the author still had a few more unanticipated twists for me. The conclusion, while I suspect it was procedurally impossible, was nonetheless quite satisfying. Pat Brown is a nationally known criminal profiler and CEO of The Sexual Homicide Exchange, which provides training and pro bono profiling to law enforcement. She is interviewed frequently on news shows and has written a number of nonfiction books on crime and profiling. Only the Truth is her first novel, currently available only in electronic format. I very much hope it won't be her last. Considering what horrors the author must deal with on a daily basis, the sensitivity and ultimately upbeat conclusion of this story is astonishing and gratifying. I hope it lifted her spirits to write it as much as it did mine to read it. After this past week I really needed an inspiring and uplifting story like this one. 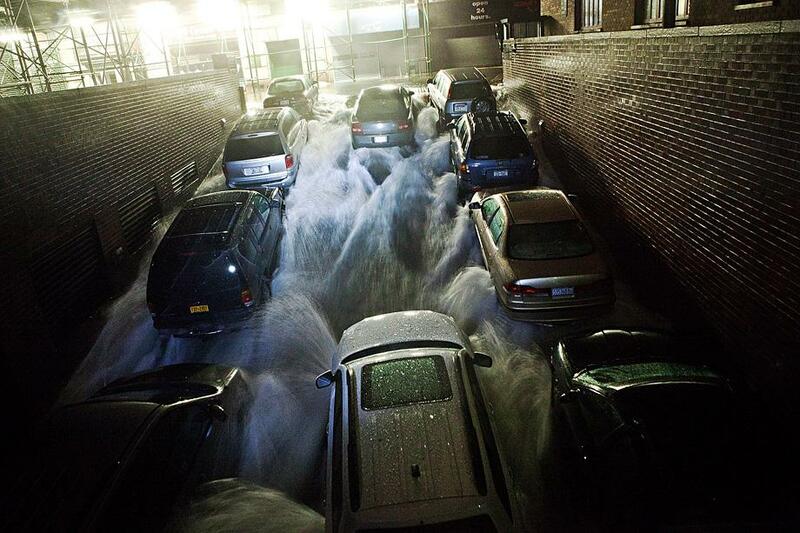 You see, I live in New Jersey, and Hurricane Sandy came in right over my head. We were very lucky in my little town, but much of the state is devastated, as are coastal areas in nearby states. During Hurricanes Katrina and Rita in 2005, I was one of hundreds of people hastily mobilized to man the FEMA hotlines. Many of the stories we heard were horrifying. Everyone who either didn't have the numbers or couldn't get through on local hotlines called FEMA for emergency information and help. One elderly woman had run out of insulin, and couldn't get to the hospital through four feet of rapidly moving water. A 14-year-old girl called, very frightened, from the Houston Astrodome. Her mother had brought her there on a bus, then returned to New Orleans to search for her brother. Men were staring at her and making lewd remarks. I kept her on the line while my manager called police administration in the Astrodome to collect her and take her to the secured section for unescorted children. Then, sweet elderly Miss Minnie in Mississippi––all she wanted was a blue tarp for her roof and some food and water. She had opened her house––which hadn't flooded––to neighbors and she was feeding and housing them and giving piano lessons to the children to "keep them out of trouble; there are snakes in that water." I could go on and on. It was exhausting, heartbreaking, but also incredibly inspiring and eye-opening. My efforts and tax dollars were really working for people who were hurting. New Jersey is a net donor to the federal government;* that is, we send more in taxes than we draw out in federal benefits programs. Part of that tax money funds agencies like FEMA, whose personnel are on the ground here right now with resources that no single state could ever possibly marshal on its own. We may be net takers of tax money for a year or two, but needing disaster relief now does not mean that we are shiftless or chronically dependent. Only a massive, coordinated effort by the federal government, working in conjunction with each affected state and relief organizations large and small, can possibly handle something of this incredible multi-state scope. New Jersey will recover, and again provide tax money for when your state or neighbors need help. We are these United States of America, and that's what we do. We care about and, when necessary, for each other. I can think of no state, however rich or fortunate in its weather, that might never need federal help. Earthquakes, floods, wildfires, tornadoes, volcanoes, hurricanes or tsunamis; disasters happen and no one anywhere is immune. It is thanks to the quick apolitical response of our Governor and President that rescue and relief efforts here got underway so quickly, and with so little loss of life. Thanks are also due to places as far away as Texas and California, whose utility workers and trucks (some flown in on huge military C17s) are clearing debris and slowly restoring power to hundreds of thousands of households. These men and women will sleep in dormitories or armories, eat sketchy meals at odd hours, and be away from their homes and families for weeks helping the cleanup effort. If you can, please send a few dollars to the Red Cross or another disaster relief organization. There are still many thousands of children sleeping without heat tonight in the unseasonable bone-chilling cold that followed the storm. With your help and that of our shared government agencies and aid organizations, we will come back strong. Thank you all, my fellow Americans, for having our backs now. * If you are interested in what your state contributes to federal operations vs. what it receives back, The Economist magazine has an interesting article and map here. Curiously, many states that take more than they contribute vote regularly for smaller federal government.